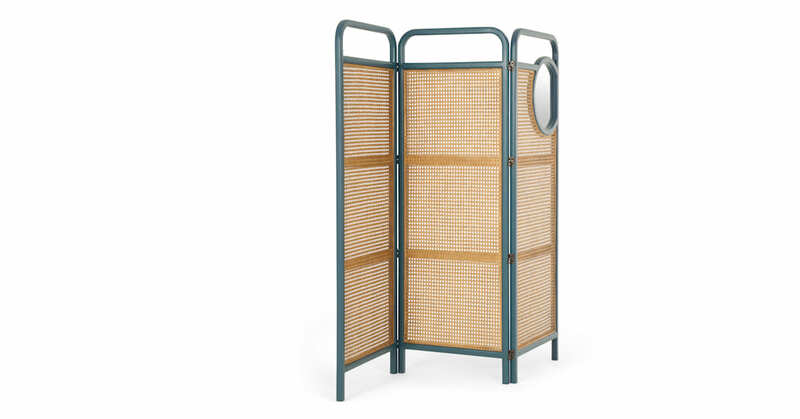 Pairing classic style with a contemporary twist, Reema is a room divider that’s as functional as it is stylish. Ideal for your bedroom. It uses classic design elements to create a new Nordic interior feel. It’s light, airy and definitely one of a kind. Hook it up with metallic accent pieces to really bring this look together. If you’ve been to a design fair recently you’ll have noticed that cane has made a comeback. Rattan and wicker styles are bang on trend.